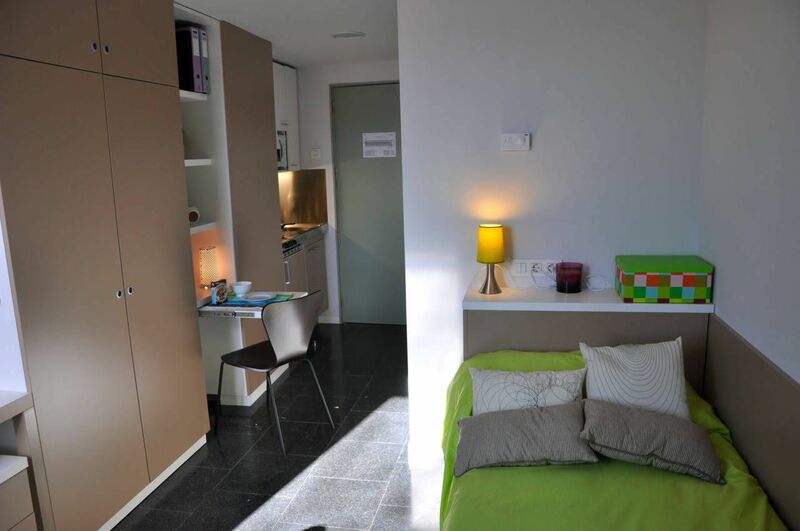 Stroll out of your student accommodation at Residencia Universitaria Roberto de Nobili and head straight to the leafy Parc de Collserola for a morning jog, bike ride or even some horse riding. Afterwards, refuel with some focaccia from Crusto, then marvel at the beautiful Monastery of Sant Cugat. Next, pick up some bargains at El Mercantic, the largest flea market in the country, or browse the shelves at the Libreria Canuda bookshop. End your day tasting some octopus at pintxos bar Teleferic or sampling a few cocktails at Smart Bar. 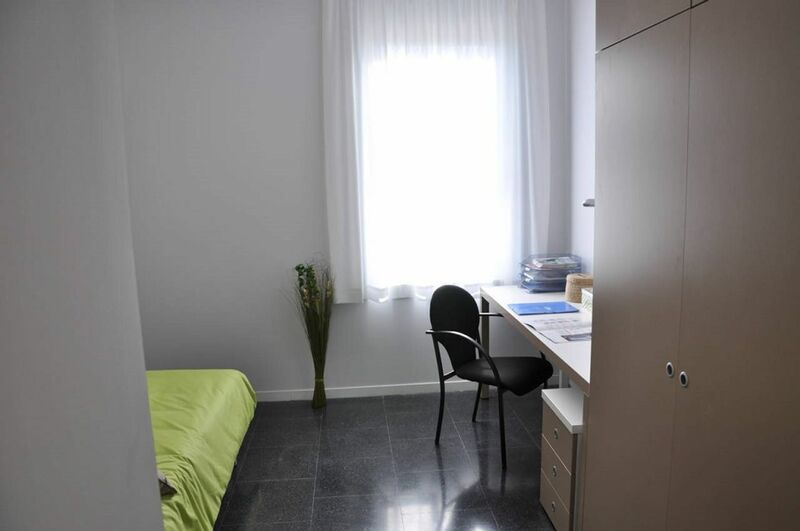 At Residencia Universitaria Roberto de Nobili, you’ll be based on ESADE’s Sant Cugat campus so you’ll be less than five minutes on foot from class. Wake up every day in your studio apartment and rustle up some breakfast in your private kitchen, or choose one of the eat-in options and let someone cook for you at the Gilda restaurant on campus. Get ahead on your chores afterwards in the self-service laundry room, and if you need to borrow an iron you can pick one up from reception. When university is finished for the day, swing by the local Dia supermarket and pick up some supplies, then head home to cook for your friends. On evenings when you deserve a treat, walk 15 minutes to pick up spring rolls from nearby Asian restaurant DaJiangJin. If you feel like digging into something sweet afterwards, pick up a snack from the vending machine back home. Afterwards, head down to the fitness room for an evening workout, hang out with friends in the recreation room or get ahead on your latest assignments with a quick session in the on-site study room. If you need hard copies of your notes for class the next day, head to the cyber corner to use the printer. Back in your room, you can log onto the free Wi-Fi to catch up on the latest Netflix shows, or browse your favourite news sites. 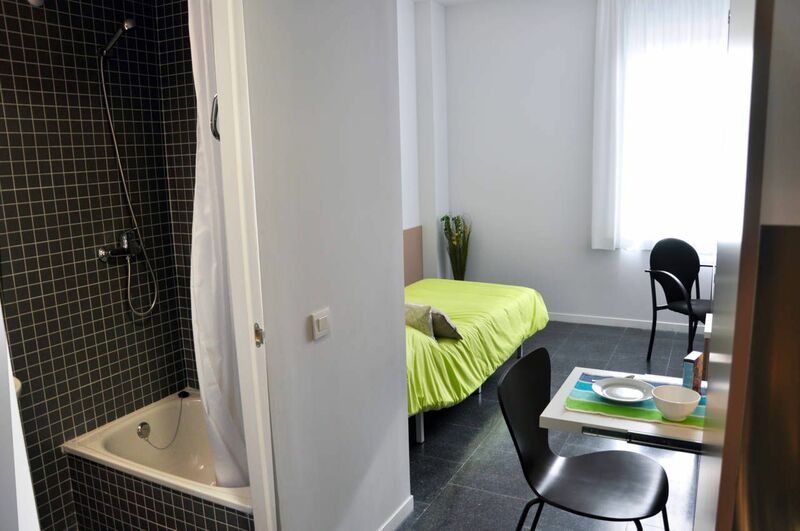 You’ll go to sleep in a tidy apartment, as you can opt for the complete package which includes cleaning of rooms and common areas and regular towels and bed linen changes. The helpful maintenance team will also be on hand if you have any problems. Wir haben leider keine Unterkunft gefunden, die deinen Wünschen entspricht.Alle Ganze Wohnung in Residencia Universitaria Roberto de Nobili ansehen.